Farrar, Straus and Giroux (BYR), 9780374335267, 32pp. "Uh-oh. I'm lost," a little duck says. "I can help," says a monkey, who swings down from a tree and points out Mama duck. Then the monkey loses his balance! Who can help him?! Giraffe can! And so the fun begins in this story, beautifully illustrated in watercolor and line, about how easy it is to help someone in need. 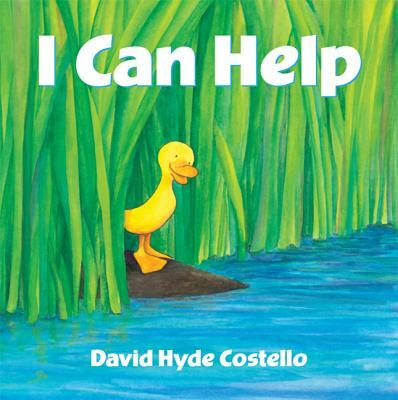 I Can Help is a 2011 Bank Street - Best Children's Book of the Year. David Costello is the author of Here They Come! and I Can Help. He lives in Amherst, Massachusetts.